So as he heads to ISM (formerly Phoenix) Raceway for the elimination race — now needing to perform in order to be one of the four drivers who will compete for the championship Nov. 18 at Homestead-Miami Speedway — he at least should have some confidence. This time around, NASCAR has hammered Stewart-Haas Racing with penalties for illegally modifying its rear spoiler on the car that won at Texas. Harvick has won nine times on the 1-mile track and has an average finish of 9.45 with 1,522 laps led, 15 top-5s and 20 top-10s in 31 career Cup starts. Most of those wins have come in recent years. He swept the 2006 races and won in November 2012 before capturing four straight — November 2013, March 2014, November 2014 and March 2015 — and then adding to his win totals in March 2016 and March 2018. Clinches if finishes: Busch must earn 31 points (out of a maximum 55 for a second-place finish, and sweeping both stages) to guarantee himself a spot. That is a sixth-place finish if he doesn’t earn any stage points. If the winner is not Kurt Busch, Elliott, Almirola or Bowyer, he can clinch by finishing ninth or higher even if he doesn’t earn stage points. If a playoff driver wins, Busch must finish ahead of two of these four, not counting anyone who wins Phoenix, who currently are behind him by the margins listed: Martin Truex Jr. (-3), Kevin Harvick (-25), Kurt Busch (-28), Chase Elliott (-42). Impact of Harvick penalty: Busch now doesn’t have to worry about someone outside the top four winning and then losing a tight battle with Truex. Busch would still need to lose 26 points to Harvick (25 points if Harvick finishes second or third). His key will be earning some stage points if Harvick runs as well at Phoenix as he usually does. Clinches if finishes: Truex must earn 34 points — a third-place finish if no stage points — to guarantee himself a spot no matter what anyone else does. If the winner is not Kurt Busch, Elliott, Almirola or Bowyer, he can clinch by finishing sixth or higher even if he doesn’t earn stage points. If one of them wins, Truex has to finish with 22 points more than Harvick (or 23 if Harvick finishes second) or gain three points on Kyle Busch (four if Busch finishes second) while also keeping drivers Kurt Busch (-25) and Elliott (-39) behind him if they don’t win. Impact of Harvick penalty: Like for Busch, the penalty is a huge boost to Truex. If he earns some stage points and doesn’t have any problems, it is going to be difficult for Harvick to overtake him in points even if someone outside the top four wins. Clinches if finishes: Harvick must win to clinch a spot in the playoffs, regardless of what anyone else does. If he doesn’t win and the winner is not Kurt Busch, Elliott, Almirola or Bowyer, he must earn four more points than Kurt Busch (three if Harvick finishes fifth or better), and not lose 18 points to Elliott (17 if Harvick finishes fifth or better) or 35 points to Almirola. If Kurt Busch, Elliott, Almirola or Bowyer win, Harvick must gain 23 points on Truex (22 if Harvick finishes second) or 26 points on Kyle Busch (23 if Harvick finishes third or better) while also keeping if-they-are-winless drivers Kurt Busch (-3) and Elliott (-17) behind him. Outlook: Phoenix is one of Harvick’s best tracks. He has nine Cup wins there, including the most recent race in March. He has won seven times in his past 12 starts — and finished outside the top-5 only twice in those starts — at the 1-mile flat track. Impact of Harvick penalty: This is good for Kurt in the sense he just has to do slightly better than Harvick. But when looking at Harvick’s history at the track, that isn’t an easy task. An interesting quirk: His former crew chief, Tony Gibson, is the interim crew chief for Harvick. Outlook: Busch is going to need help if he doesn’t win and Harvick runs well, and he hasn’t finished better than fifth in his past 18 starts at Phoenix. He was 10th in March at Phoenix. Even with the Harvick penalty, he has a hill to climb. Impact of Harvick penalty: A little better of a chance, but tougher math. It was going to be hard enough to catch Kurt Busch anyway, but if Harvick stumbles, Elliott is in a better position to take advantage of Harvick’s misfortune. 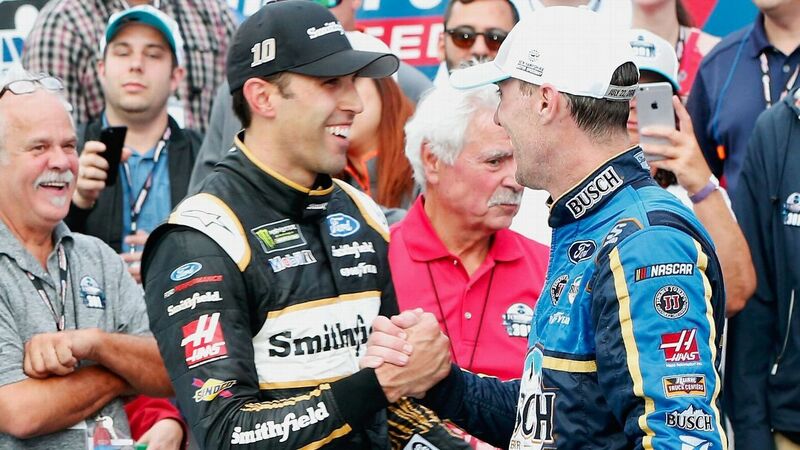 Clinches if finishes: Almirola must win to guarantee himself a berth to the next round. If he doesn’t win, he must gain 35 points on Harvick, 33 on Kurt Busch (32 if Almirola finishes top-5) and 19 on Elliott (18 if Almirola finishes top-5). Impact of Harvick penalty: Not much. Almirola certainly can’t count on gaining that many points on Harvick. Clinches if finishes: Bowyer must win to guarantee himself berth to the next round. If he doesn’t win, he must gain 51 points on Harvick, 48 points on Kurt Busch, 34 points on Elliott and 16 points on Almirola. Impact of Harvick penalty: Very little. He’d need a top-5 finish plus great stage finishes plus a collapse by Harvick, Kurt Busch and Chase Elliott to even have a shot.